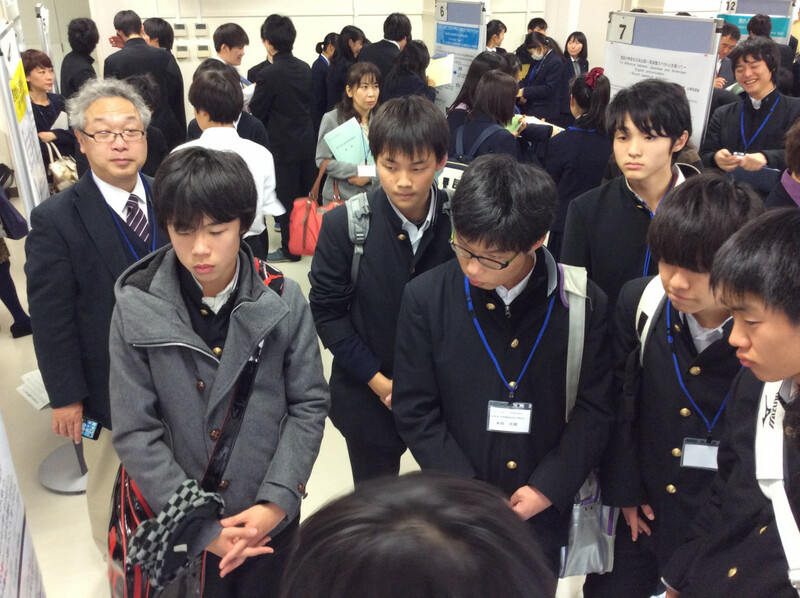 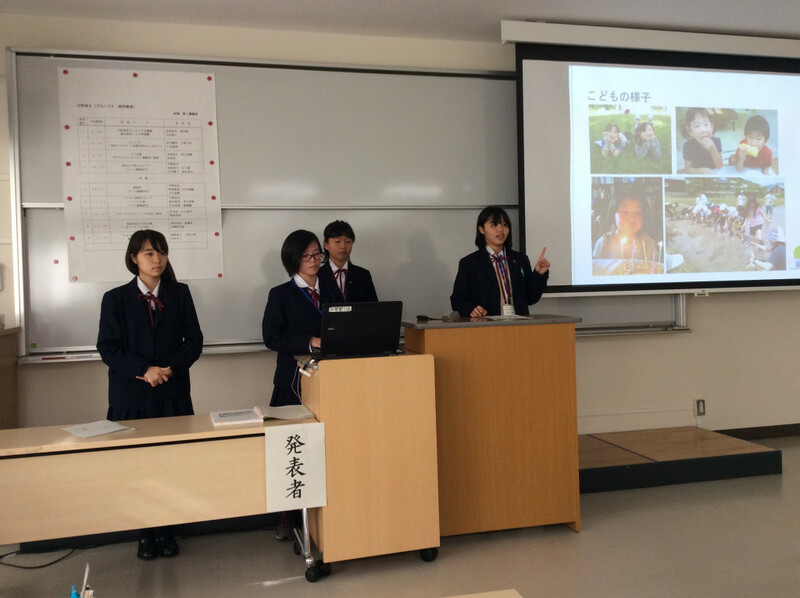 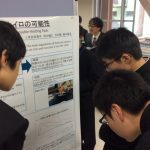 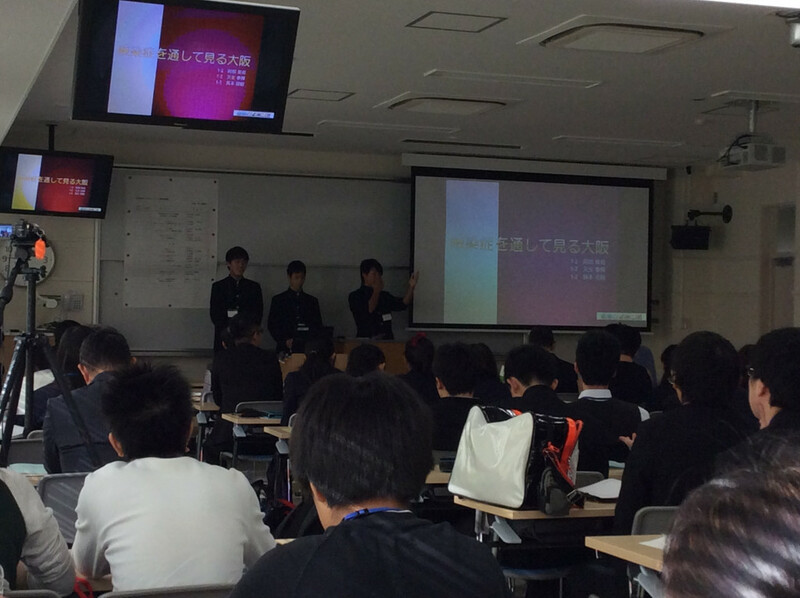 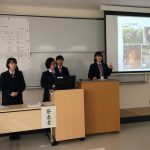 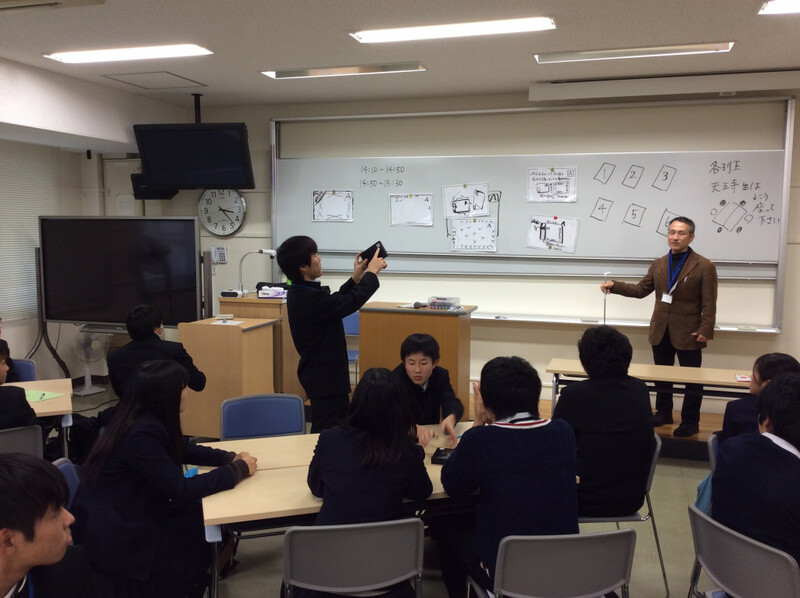 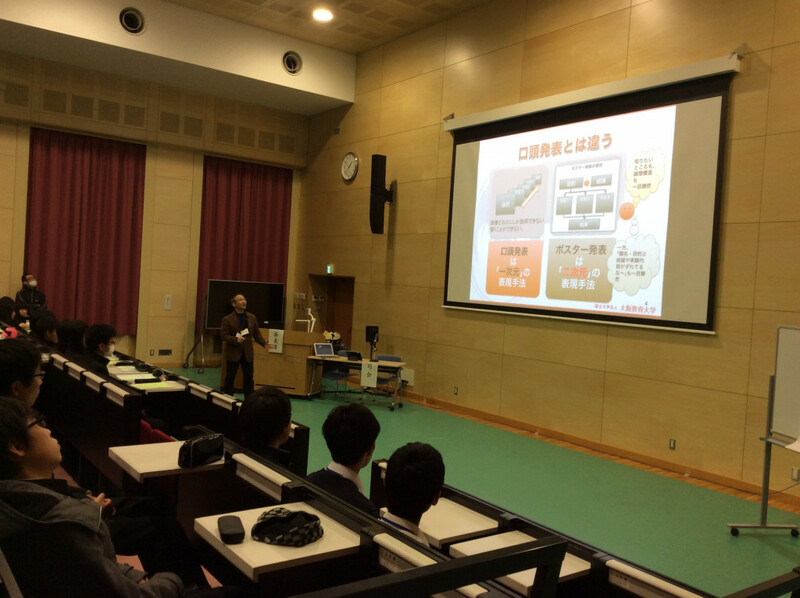 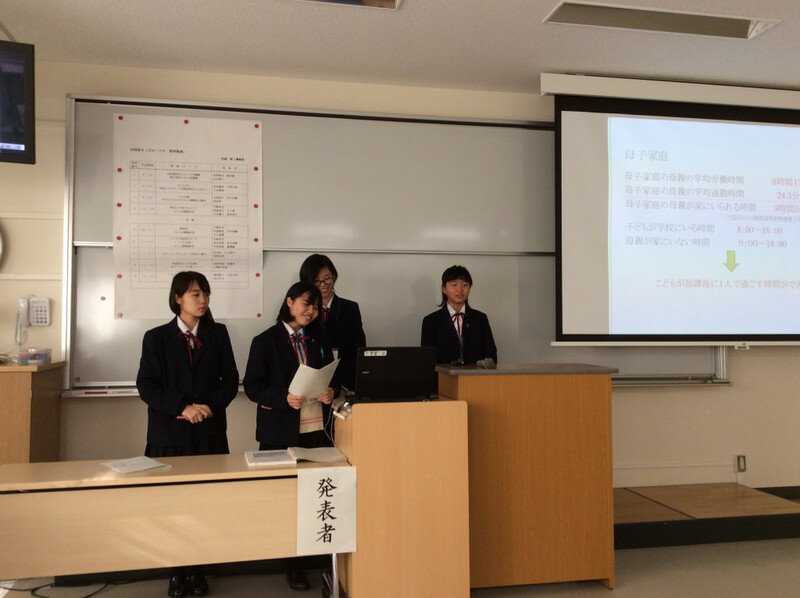 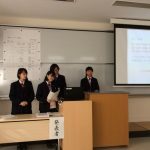 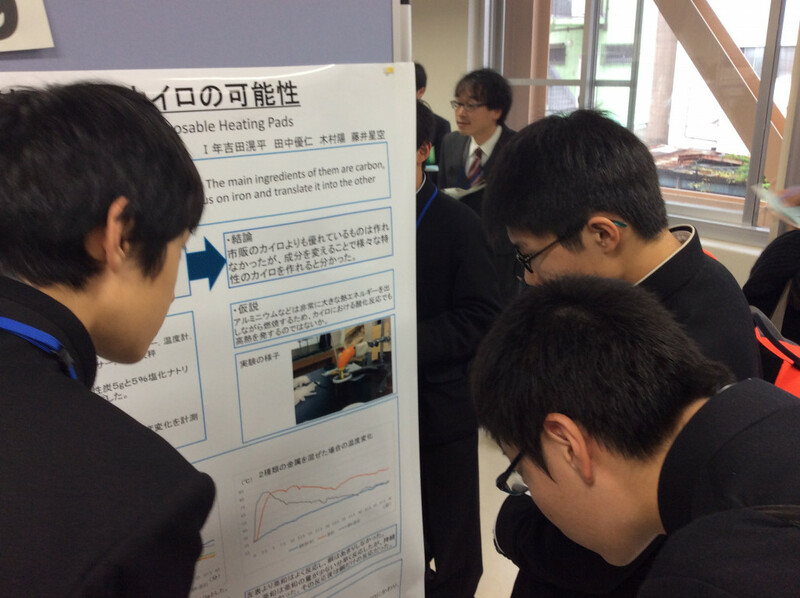 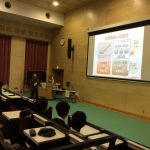 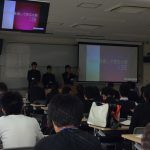 On Tuesday, December 15, 1st year students from Osaka Kyoiku University Hirano High School took part in a student research presentation event held by Osaka Kyoiku University Tennoji High School (SSH) at Osaka Kyoiku University’s Tennoji Campus. 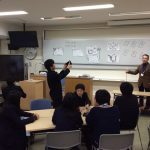 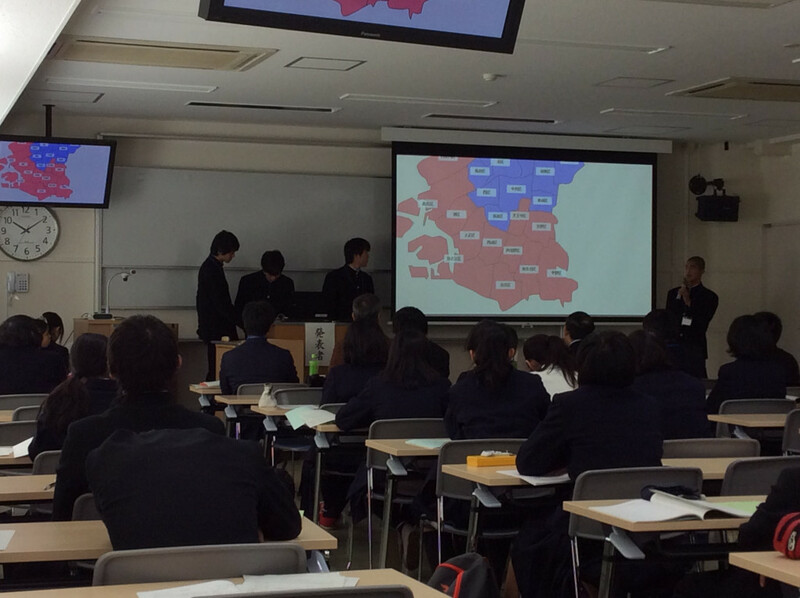 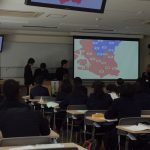 The morning consisted of Super Science High School (SSH) presentations by Osaka Kyoiku University Tennoji High School students in which 6 groups from our school gave their SGH Project Studies presentations. 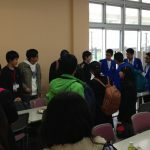 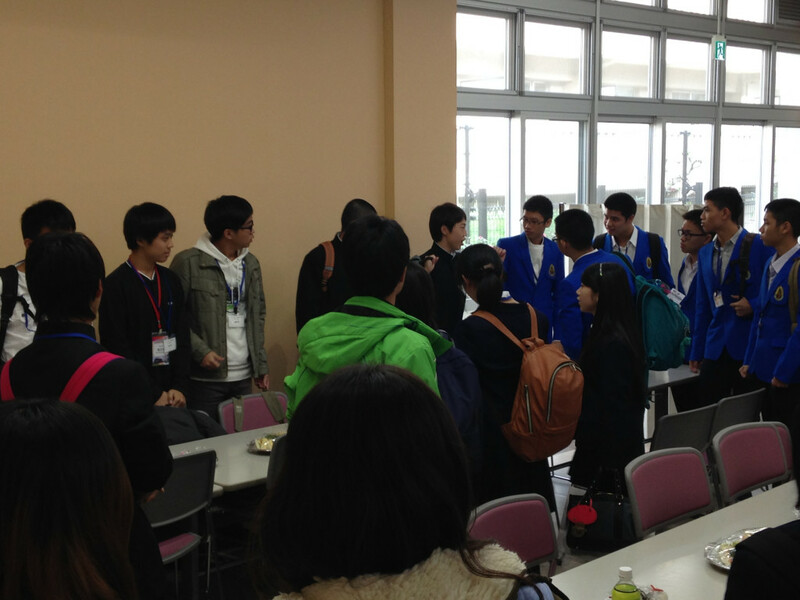 At lunchtime, students from our school and Osaka Kyoiku University Tennoji High School, along with high school students visiting our school from Kaohsiung Taiwan Normal University High School, and students visiting Osaka Kyoiku University Tennoji High School from Princess Chulabhorn Science High School Pathumthani all gathered to strengthen relations.